will it be possible that i have only one month to do the review online? and how much is the payment for 30 days review? 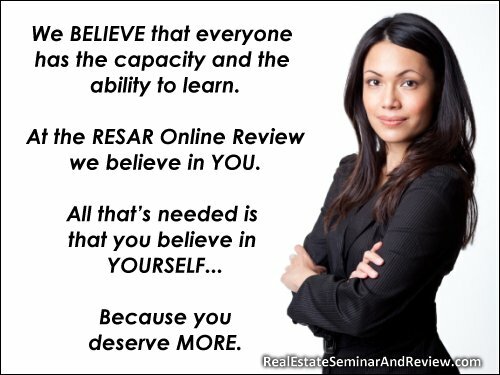 [From the RESAR Admin] There have been people in the past who used the online review with only 7 days to go before the Real Estate Brokers’ Licensure exam. It depends on your motivation, abilities, and discipline. Thank you. Will the online review count for the 120 hour credits? Thanks. [From the Admin] For the 120-hour credits, you will need to attend a face-to-face seminar/review. The online review will not earn you 120 credits. Thank you.